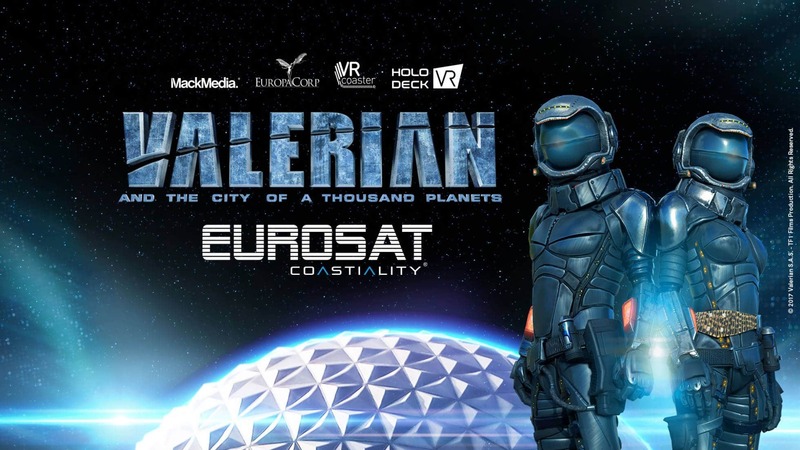 The team of IMAscore produced the soundtrack for one of the most innovative projects in the leisure industry: Eurosat Coastiality featuring Luc Besson’s Valerian and the City of a Thousand Planets at Europa-Park. The experience was created by MackMedia, VR Coaster and Holodeck VR in cooperation with EuropaCorp. Incorporating some of the musical themes written for the motion picture by Oscar award winning composer Alexandre Desplat, IMAscore created bespoke music which can be heard not only in the queue line, but also during the ride, as well as elaborate sound design in terms of soundscapes and sound effects. Eurosat Coastiality combines the best of the real and virtual world on one of the German theme park’s most iconic rides.